"Do you live happily?" A short teaser trailer has debuted for the next film from acclaimed Korean filmmaker Hong Sang-soo, titled On the Beach at Night Alone. The film will be premiering at the Berlin Film Festival in February this year, which is why this trailer is being released now. Not much is known about the plot yet, but On the Beach at Night Alone is supposedly about an actress who wanders around a seaside town, thinking about her relationship with a married man. The film stars Kim Min-hee, Seo Younghwa, Jung Jaeyoung, and Moon Sungkeun. There isn't much to this first trailer, but it is alluring to watch. The only synopsis currently available from IMDb: "An actress wanders around a seaside town, pondering her relationship with a married man." 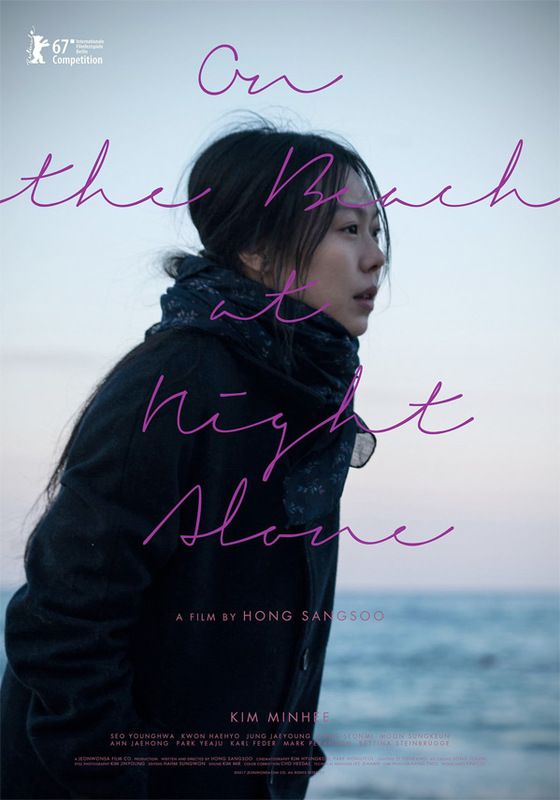 On the Beach at Night Alone is written & directed by veteran Korean filmmaker Hong Sang-soo, known as "the Woody Allen of Korea", of many films previously including Woman on the Beach, Lost in the Mountains, The Day He Arrives, In Another Country, Hill of Freedom, and Right Now Wrong Then. The film is set to premiere in competition at the Berlin Film Festival coming up February 2017. No distribution info is available yet, so stay tuned for more updates. Anyone interested? It will probably be okay, the filmy quality is interesting, if not adorable. Yeah...not for me. Interesting teaser though.